Geo, the Electric Microbe (Geobacter sulfurreducens) under a microscope! 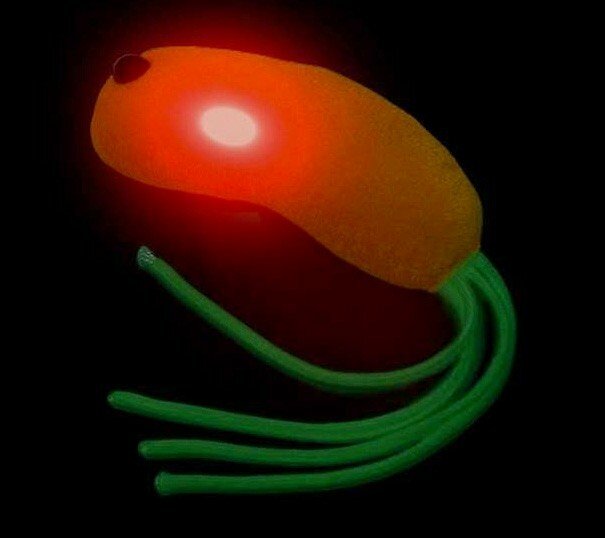 Geo, the Electric Microbe is a species of environmentally friendly bacteria with some incredible abilities. Learn all about this amazing bacteria and how it can be harnessed as “microbial fuel cells” to generate electricity from soil and food waste! The root “geo” means relating to the Earth. These bacteria thrive and produce their energy from the Earth itself. 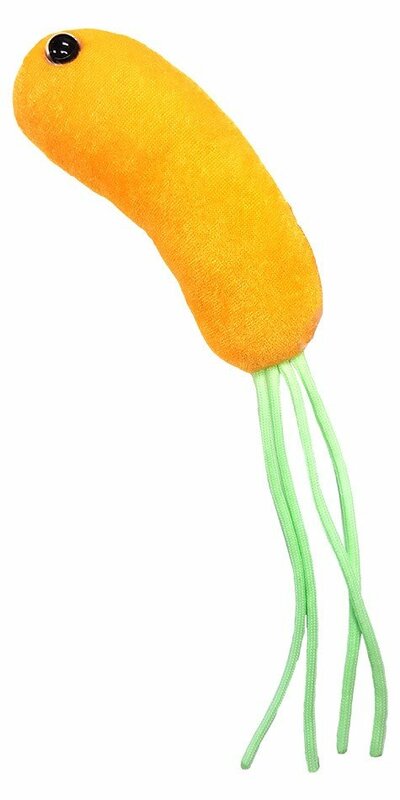 The suffix “bacter” simply means that it correlates to bacteria. 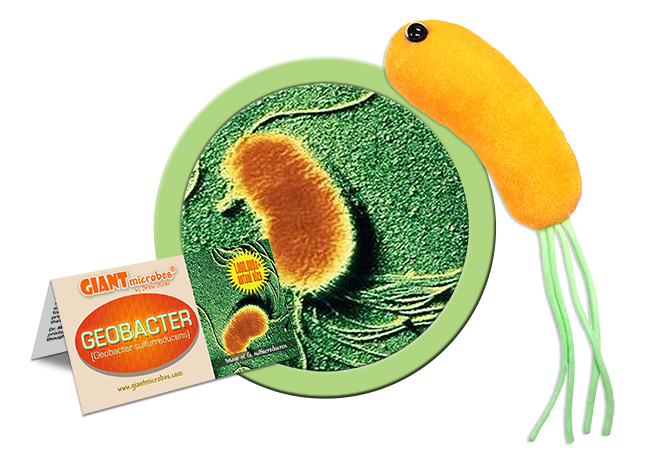 The word geobacter sums up this species nicely. 0.6 x 2.0-6.0 mm, rod shaped with a flagellum (tail-like structure). Found in sedimentary environments where there is a lack of oxygen, this species can function anaerobically. It is found in river beds, geological compounds, and a variety of environments. 1987: This species of bacteria was first isolated by Derek Lovley in the Potomac River near Washington D.C. It was discovered in sand sediments. 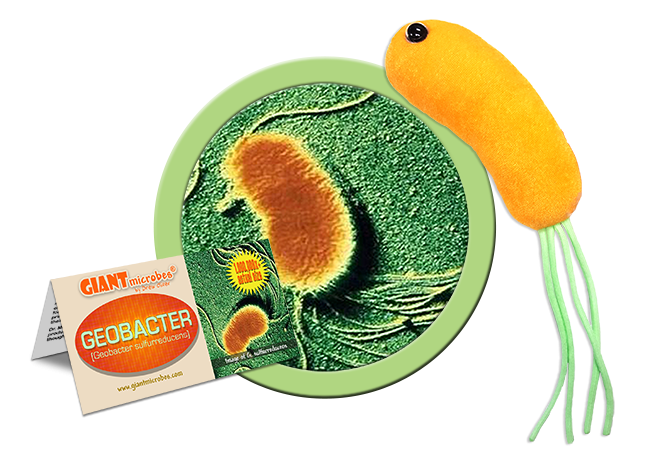 Lovley and his team researched and publicized the utilities of geobacter. It has the capacity to convert organic compounds to carbon dioxide. 2010: Geobacter was used for environmental restoration, energy harvesting, and even to help clean up after the Deepwater Horizon oil spill in the Gulf of Mexico. They have the ability to undergo interspecies electron transfer, allowing the microbes to harness food sources that none can access alone. They can work as one, thriving system. 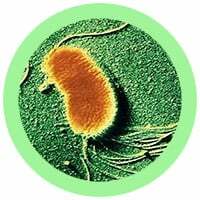 Geobacter is the first organism found to respire on organic compounds using iron oxide as an electron acceptor. They have capacity to remove radioactive metals from ground water and gain electricity from mud and other inorganic waste matter.